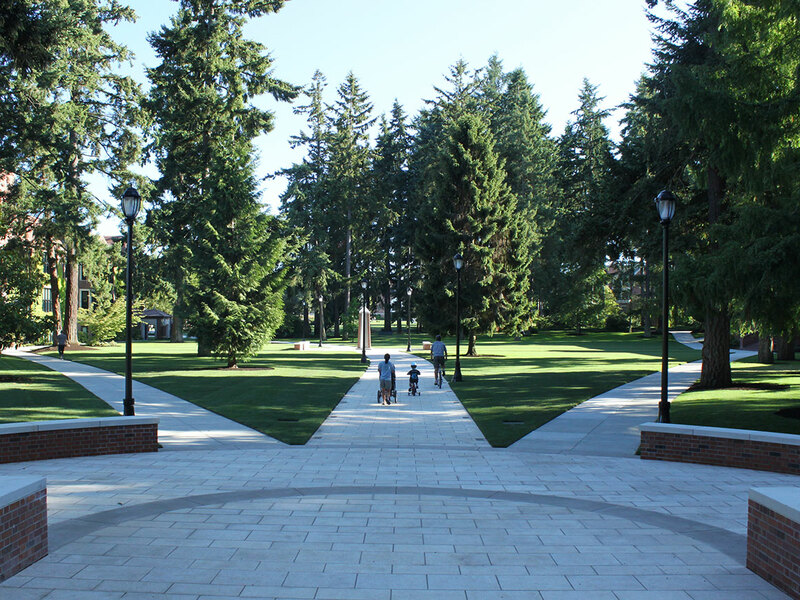 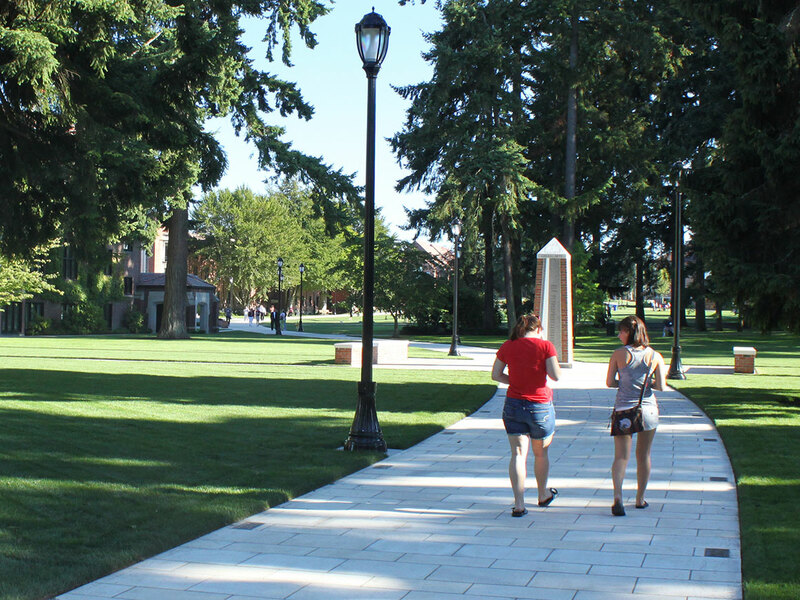 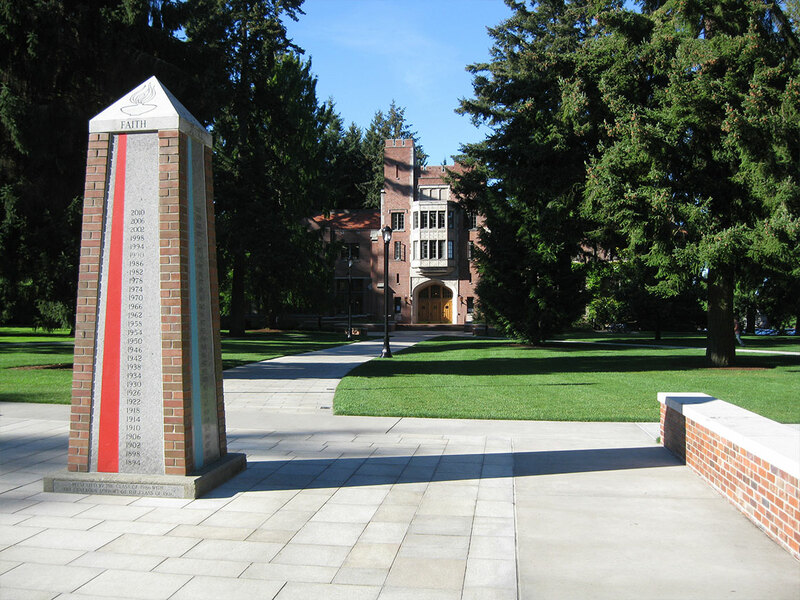 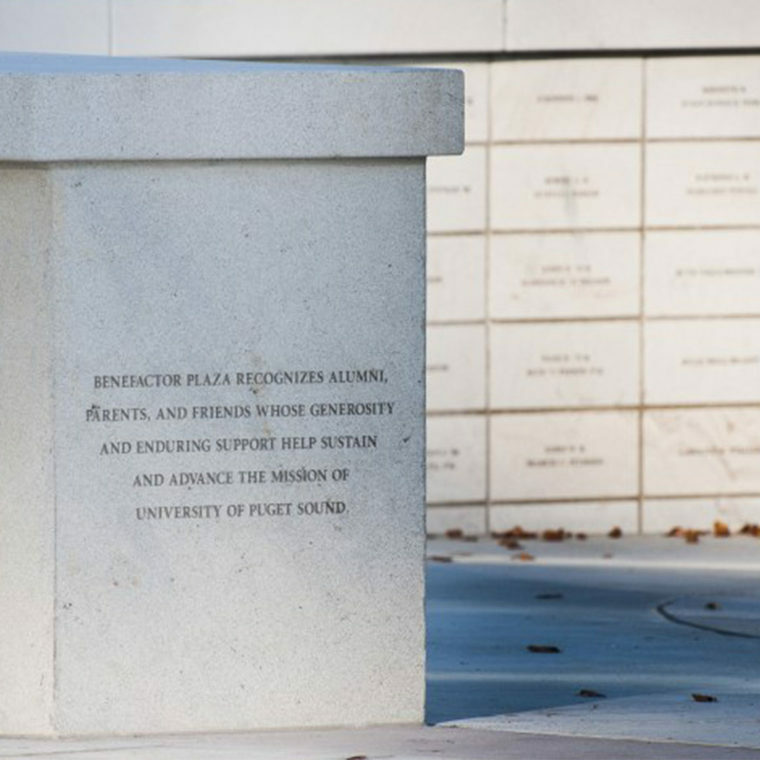 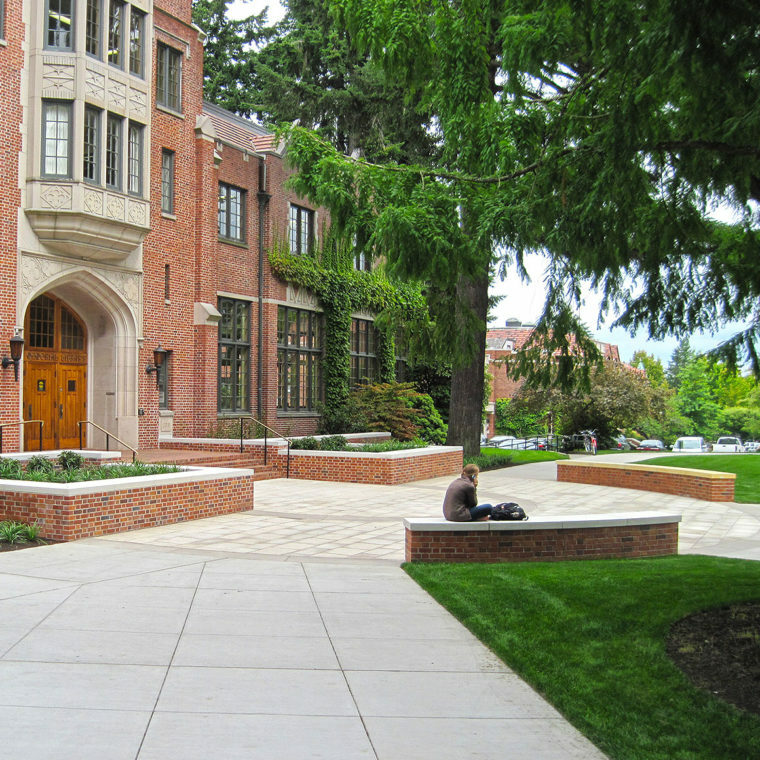 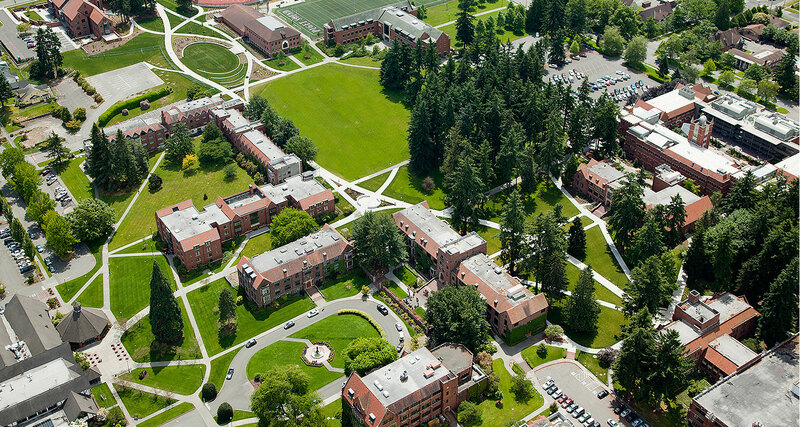 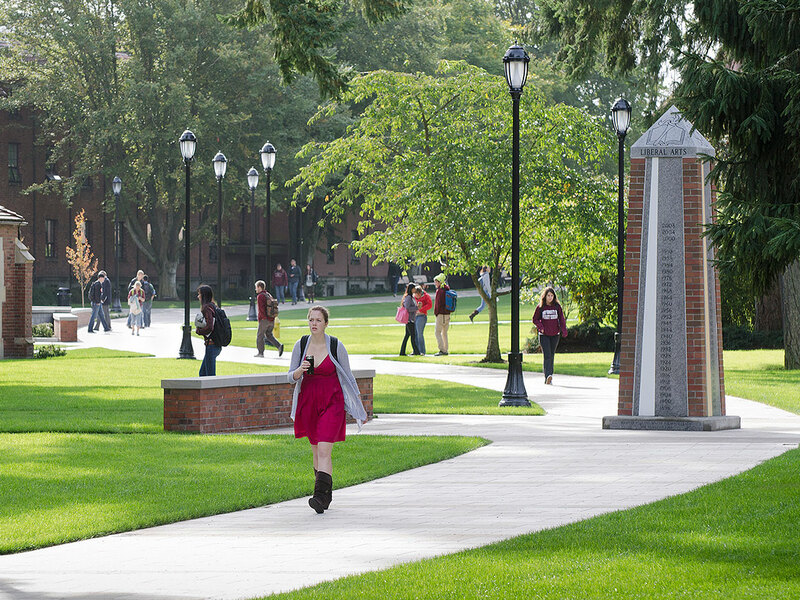 As the home to convocation and commencement celebrations this project creates an elegant pedestrian pathway serving as the cultural center and a physical link between the north and south ends of the University of Puget Sound campus. 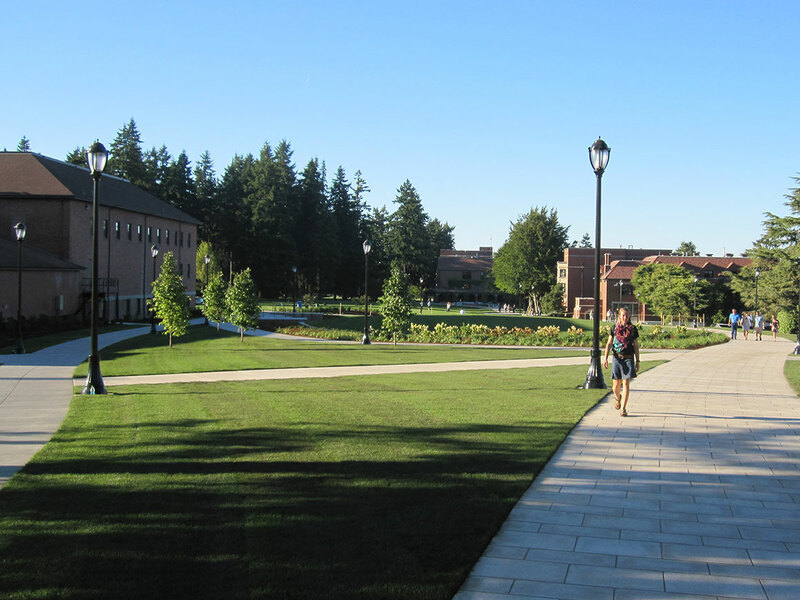 Previously a series of concrete and asphalt walks of varying widths and conditions, the new design unifies the campus by providing a path punctuated with art and eddies to foster reflection and gathering and inspire conversation. 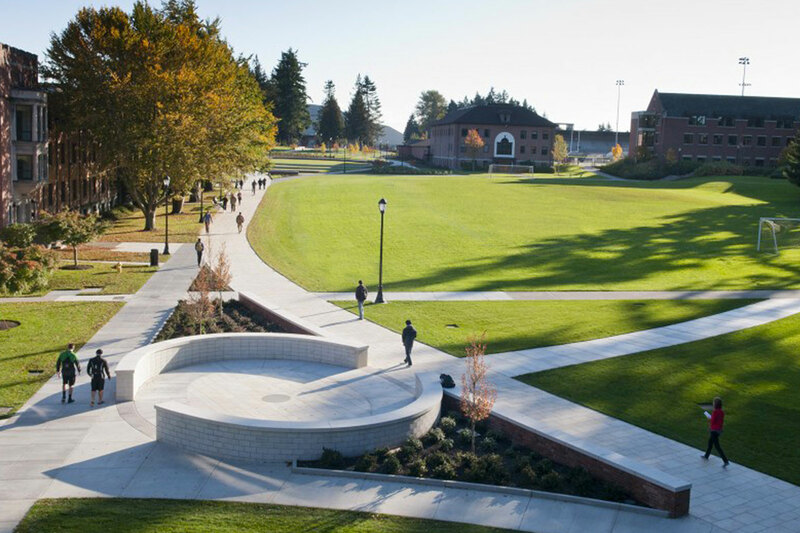 The name Commencement Walk is derived from the journey each graduating class takes as it gathers for commencement in a procession from Karlen Quad to Baker Stadium. 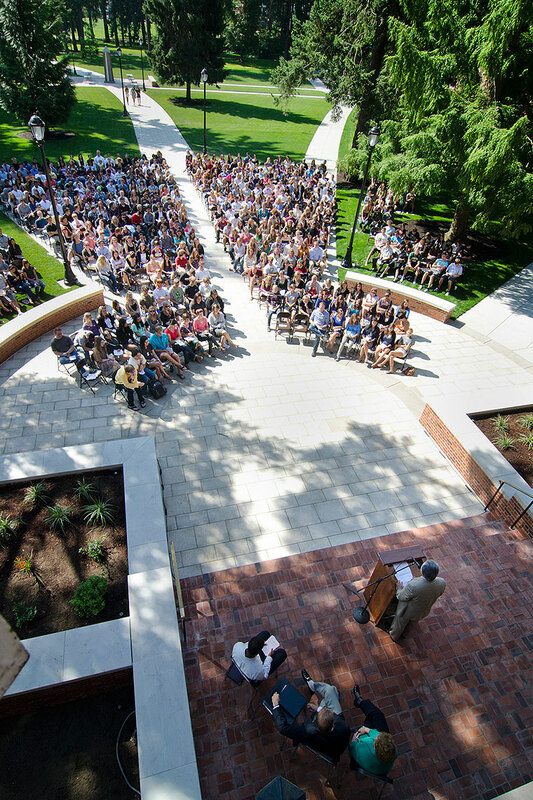 Convocation, meaning a group of people formally assembled for a special purpose, acknowledges the beginning of the school year. 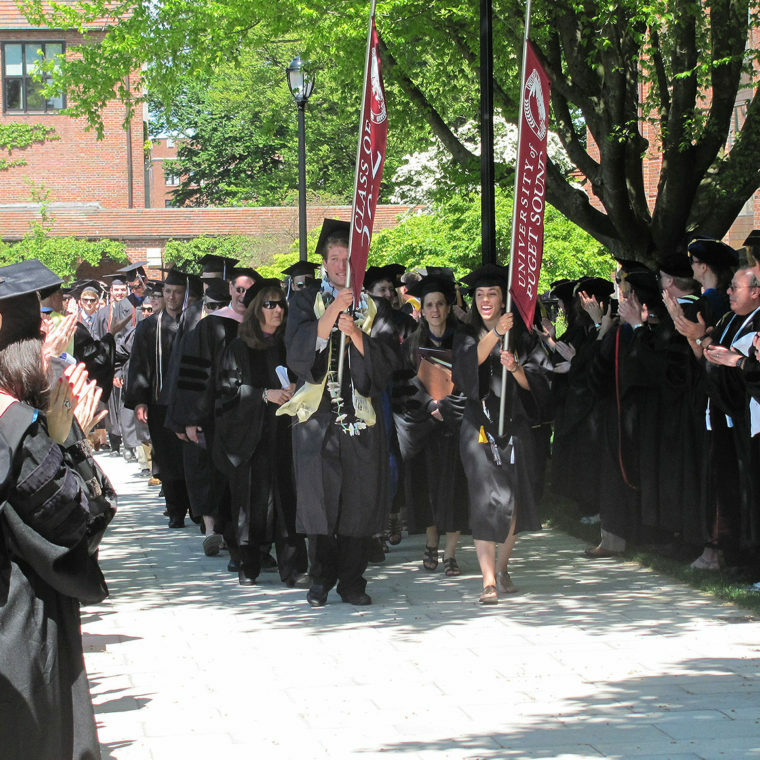 As part of the ceremony Freshmen travel in the opposite direction and are welcomed by upperclassmen and faculty lining the walk.